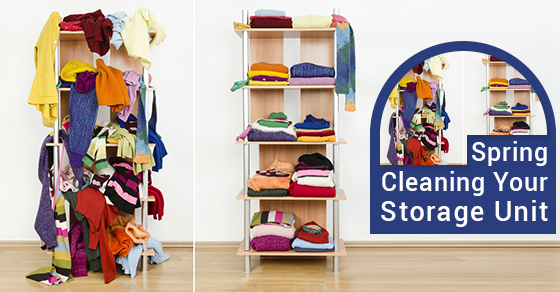 Are You All Set To Spring Clean Your Storage Unit? Cleaning out your storage unit is not the most fun activity, but it is necessary. If you are a business person who holds inventory in your unit, you need to maintain a clean area so as to be able to show off this area to your clients when necessary. If you own your own unit, the last thing you want is for dust and insects to accumulate on your belongings. Cleaning out your storage unit comprises three main tasks: decluttering, cleaning and maintenance. When you declutter, you are getting rid of things you don’t essentially need. Go through each item and decide if it of any value to you. Items of sentimental value such as old photos can be kept, but other items that you don’t want can be given away or sold. Whatever items you wish to keep can be kept in one box; others can be placed in a separate box and discarded. If you are dealing with family possessions, then it should become a family exercise, and together you will have to decide what can really stay and what you can do without. Unless it brings some kind of sentimental value, chances are if you haven’t touched the item in over a year then maybe you don’t need it. Whether you are keeping your possessions or getting rid of them, you will have to empty the entire storage unit in order to sweep and mop. Once you have swept and mopped the entire area then you should also clean or dust the items so as to make sure you don’t carry dust back into the unit. Cleaning helps to make your belongings last longer and preserves whatever value they possess. This is especially important for collectables and vintage items like precious metals, paintings or instruments. Additionally, don’t forget the windows if you have them, as well as the ceiling and surrounding areas. If you are a business person in charge of maintaining storage units, then there are also maintenance tasks you should do. Make sure the restrooms are regularly cleaned and stocked. This is not only important for cleanliness, but also for safety. Inspect the facility for any defects and make sure repairs are carried out promptly, especially if they pose a security risk. Clean the offices regularly and make sure your desk is clear of clutter. You want to maintain the appearance that you are well organizes as to instill confidence in your renters. Here at Jiffy Self Storage, we put an importance in keeping not only our units clean, but every area of our property. We take care of our client’s belongings as best possible, and we want them to easily see that. If you have never thought about using a storage unit, give us a call. We have a variety of sizes to suit your needs, and the facilities are well maintained.